An essential ingredient for homemade gochujang and for sikhye, this powder supplies sweetness and malt flavor. It is available at Korean grocery stores. Posted on Monday, February 9th, 2009 at 12:23 am. Last updated on February 10, 2018. Posted December 14th, 2014 at 8:16 pm | Log in to reply. I think you should be able to use Diastatic Dry Malt Powder. It needs to be diastatic so that it can convert the starches to sugar. Don’t confuse this with malted milk powder. You should be able to find in on Amazon or from a baking supply company. Posted September 13th, 2010 at 12:09 pm | Log in to reply. Posted September 14th, 2010 at 2:04 pm | Log in to reply. You don’t need to use your food processor. You could use either powder or coarse flakes. Posted January 28th, 2013 at 11:54 pm | Log in to reply. where you get Barley Malt Powder? Posted September 10th, 2010 at 11:26 am | Log in to reply. Dear Maangchi, if I cann’t find the barley malt powder, what subsitute powder can I use to make this delicious drink??? Thanks. Posted September 10th, 2010 at 1:33 pm | Log in to reply. Posted April 22nd, 2010 at 12:20 am | Log in to reply. Posted November 12th, 2009 at 11:21 pm | Log in to reply. Posted June 23rd, 2009 at 5:50 am | Log in to reply. I finally found a newly opened Korean mart near my home (yippee!) 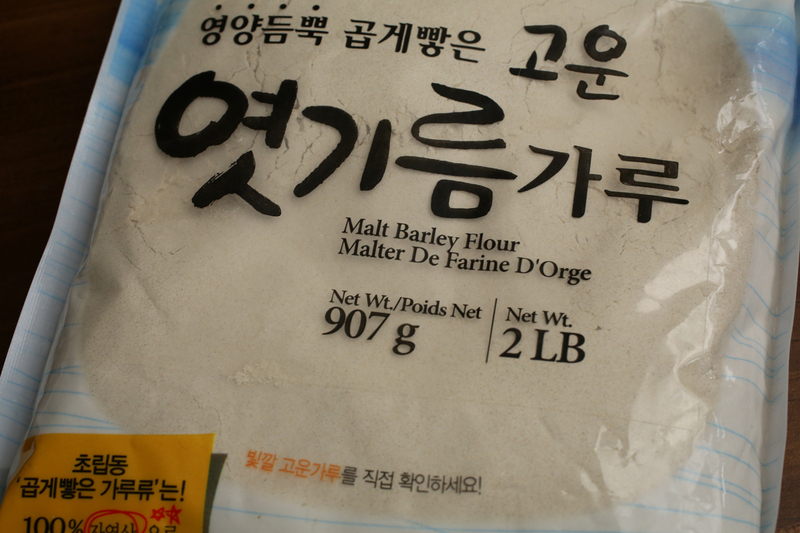 but I don’t find the Barley Malt Flour like you used. She showed me a LARGE package that contained flattened greyish-brown barley grains and she said that’s used to make Sikhye. So, can I use that if I can’t find the powder version? Posted June 23rd, 2009 at 8:05 am | Log in to reply. Tere are 2 types of barley malt: powder type and coarsely crushed (or pounded )barley malt. I use either powder type or crushed type. But be sure it is really crushed barley malt. If you find these words “엿기름 가루” or “식혜가루” on the package, buy it. Posted June 3rd, 2009 at 11:03 pm | Log in to reply. I was trying to find barley malt powder but I can’t seem to find it! But I am able to find Barley flour. Is that the same as barley malt powder? Posted June 4th, 2009 at 7:22 am | Log in to reply. Posted March 10th, 2009 at 10:07 am | Log in to reply. I’ve been taking Korean classes for five months now, and the name of this is… mysterious! It looks like it means “candy oil powder”. 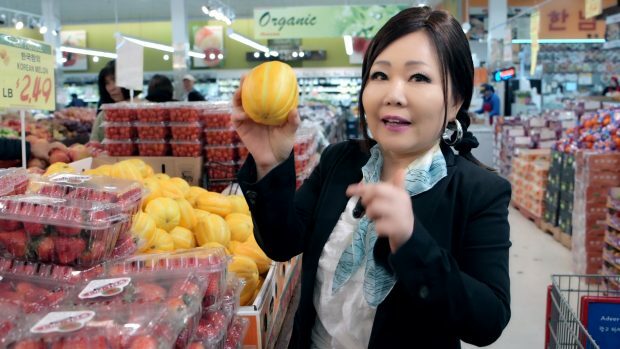 I know what yeot is (mmmm yummy), and I know what gireum is, and I know what garu is. So why is it called yeot-gireum-garu? I’m curious! Posted June 24th, 2017 at 1:53 pm | Log in to reply.